ihub, a technological research and innovation academy located in St Catharines; a collaboration between Brock University, Niagara College, Innovate Niagara, and the District School Board of Niagara (DSBN) is hosting a Sea World/Minecraft project. Huron Perth Catholic District School Board is considering an eco-schools project with water/indigenous focus with board ECO teams between March 22 (World Water Day) and March 30 (Earth Hour). Colin Jagoe, at East Northumberland Secondary School in Brighton, Ontario hosted filmmaker Natalie Lucier on a skype call, as part of helping Grade 10 students pursue passion projects. 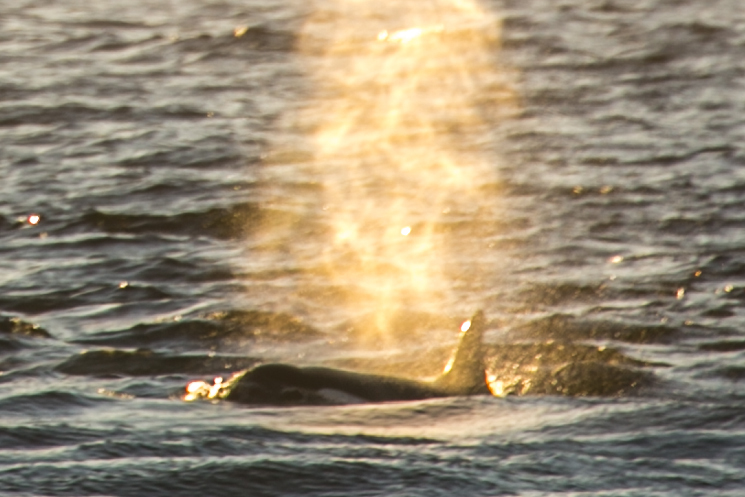 Mark Carbone at Waterloo Region District School Board is experimenting with the multimedia education resources from the orca movie soundtrack including, music clips and orca sounds for work with First Nations students in Northern Ontario. Krista Aiello at the Peel District School Board is looking at passion projects with her self-contained gifted grade 8 class. Natalie recently signed an agreement with Infobase / Learn 360 so the film To The Orcas, with Love will soon be available in every school in Ontario! How will educators in your community inspire students with the film? To The Orcas with Love made its world premiere in Huntsville Ontario at the Cinemuskoka Film Festival in September 2017. The film was awarded a Special Jury Award at the rooftop awards night; the first film festival award for director Natalie Lucier. Our World Premiere is happening the opening night of Huntsville’s new Cinefest World Film Festival. Our documentary sheds a light on the perils of the farmed salmon industry. We are delighted to see Sea Shepherd Conservation launch a new campaign featuring biologist Alexandra Morton, actor/activist Pamela Anderson and environmentalist David Suzuki. Other countries have identified problems with farmed salmon and are dealing with serious crises in the farmed salmon industries …. including Norway and Scotland (where most of the farms are owned by Norwegian corporations – just like in Canada). It’s a continually escalating arms race of chemicals against these parasites that feed on the scales and blood of farmed salmon. The parasite stalks large concentrations of farmed fish and it adapts to treatments to overcome any obstacle these companies throw at them. At the same time, these parasites, overwhelm and kill wild salmon that pass through these areas. Why does Canada let fishing companies from other countries, primarily Norway operate these types of farms in Canadian waters when their own country outlaws the practice? How can it make any sense at all to have Scottish bred, Atlantic salmon being farmed in the Pacific Ocean? It’s clear there are impacts on the wild salmon that swim in these Pacific waters. Check out Sea Shepherd’s news about the launch of Operation Virus Hunter this month. Another link to Sea Shepherd news featuring Alexandra Morton. and more news on how the Scottish Salman Farming industry stinks. Spent the day at Pixel Underground in Toronto tweaking things for the upcoming final cut! Thank you Shane and Marcello and the team at Tango Creative (Windsor) for the design expertise on our Movie Poster. We’d love for you to join our Facebook community and keep the conversation moving about the beautiful orcas, re-wilding the planet, focusing on what we are doing that’s “right”. See photos from Natalie’s Flickr collection, entitled “Summer of Dreams” photos taken while at OrcaLab at Hanson Island and on the Johnstone Strait.